The love and patience that we pour into each brew is sure to be detectable from your very first sip. As part of our commitment to community all of our ingredients are locally sourced and the spent grain is given to local farmers for feed. We use style specific locally produced yeast. We also recycle all of our papers and plastics because we believe beer just tastes better when it is responsibly made and enjoyed. Try one of ours and taste the difference! 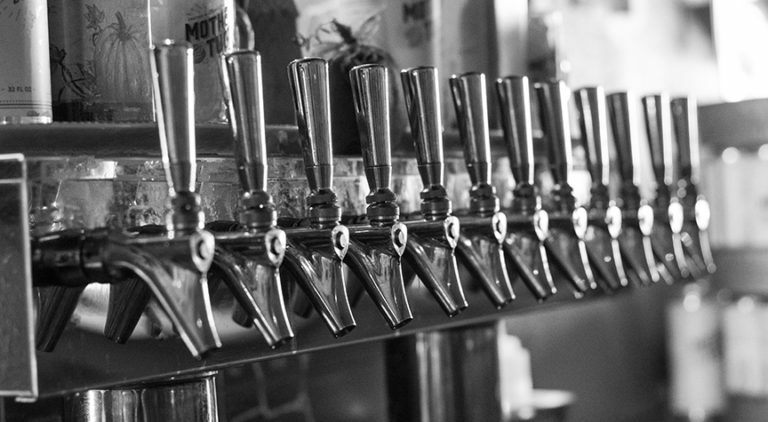 We Are Your Local Neighborhood Brewery! A testament that backyard season is upon us, our Belgian Wit Ale has returned! Toasted Coriander and orange peel add depth to the complex citrus tones of our MTB Belgian Wit! Boasting a pinch of sweetness and spice, this ale is everything nice! Yes! It’s another Equal Hopportunity Pink Boots Collaboration! This IPA is not only a mouthful in name, but in flavor as well! Slightly tart pomegranate mixed with a deep key lime citrus elevate this IPA to another level! It’s not just good, it’s an experience! Our Old English Ale has returned! Dark, malty and full of attitude! The complex flavors of our Old English have made it a favorite of ours since day one. It’s no wonder that it was chosen as our milestone 200th brew! It’s Spring! In classic fashion we’re pulling out all the stops to bring you this one of a kind lager! Light and juicy, our MTB Juicy Lager is aptly named. Slightly tart and extra crisp with a hint of pineapple and lime, this is one brew you have to try! Cheers! It’s backyard season! The first of our flagship five, our Hefeweizen has been a fan favorite from the day it arrived! This take on the traditional German wheat beer has the spice and banana notes you’ve come to expect from this classic. A plethora of form and flavor sets this brew in a class all it’s own! It’s what it sounds like, only better! Our Session IPA is based from our Double New England IPA. 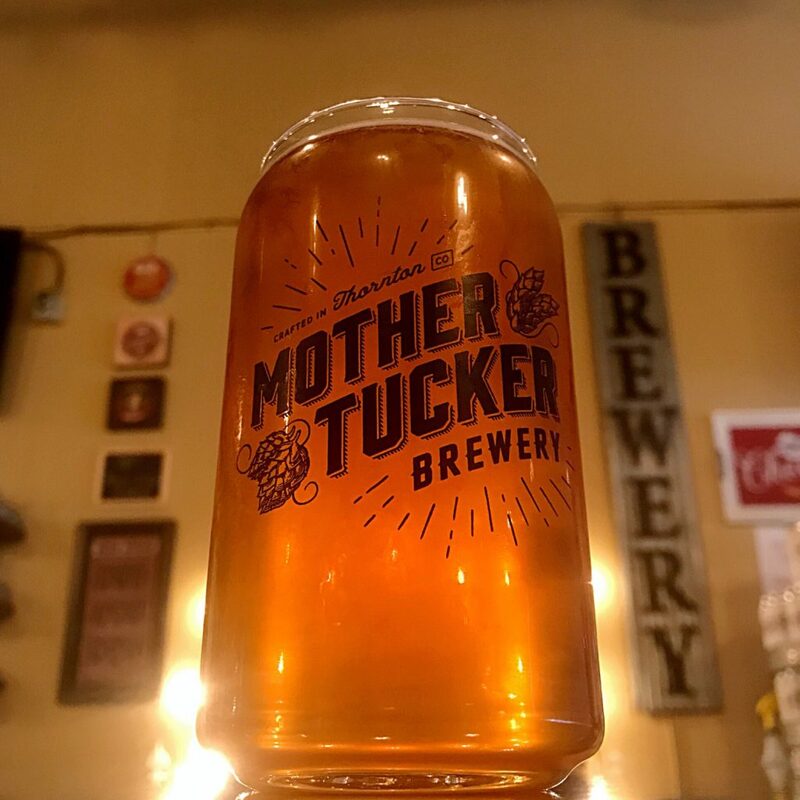 A little lighter, with a lower ABV while holding onto all of the bold flavors you expect from a Mother Tucker IPA! Our Chocolate Coconut Porter is back! The perfect companion for the changing of the season, this Porter brings the dark Winter warmer into the light. Rich, chocolate malt infused with the brightness of tropical coconut launch this silky smooth Porter to another level entirely! Once upon a time (last Summer) we brewed a light, agave infused lager. The lager did well for itself, and at the end of the season we put the last of it into a barrel we re-wet with tequilla. 6 moths later… the Barrel Aged Agave Lager is all grown up, and dying to meet you! Sweet and smooth, you have to try it. We dare you! Our take on a traditional hazy style New England IPA, with a twist. With a citrus finish and a dark, handsome complexion this IPA has been a fan favorite from the start! It has been known to delight the IPA lover and convert the IPA skeptic. Style be damned! It’s not East vs. West. It’s 303 pride! The name says it all, this is our Colorado spin on a traditional IPA. Rich, crisp hops and floral notes make this local favorite truly a taste to behold! Our Honey Cream Ale is a perfect blend of local style and tradition. Brewing with local Clark’s Honey makes this beer a sweet, light and surprisingly bold powerhouse of a cream ale. That’s our position, and we’re sticking to it. The last of our Flagship Five and our original hot Summer day brew! This light yet bold ale is sure to delight the palate and stimulate the senses! Raw cane turbinado sugar added during brewing gives this house favorite a unique taste you absolutely have to try!